This evening i will share my new theme. This time i make a theme of Game of Thrones, one of my favorite show(except the explicit part -.-). 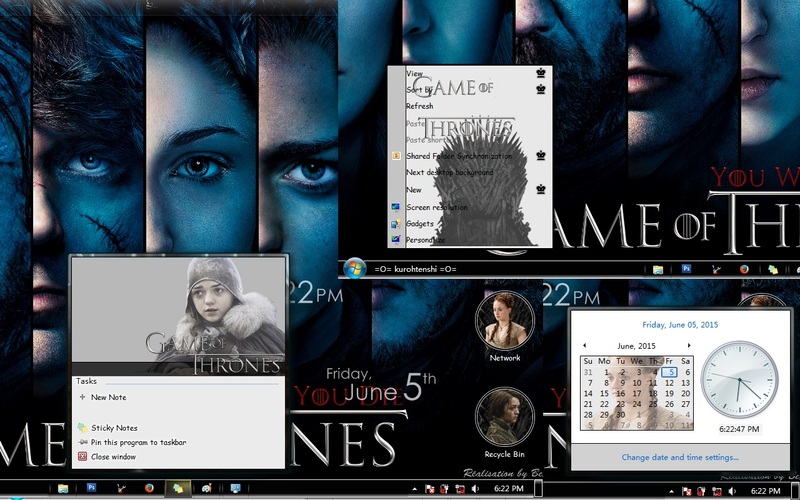 And this time i make the theme for windows 7. Note : the image will changed when you direct your mouse or click arrow to existing program in start menu. 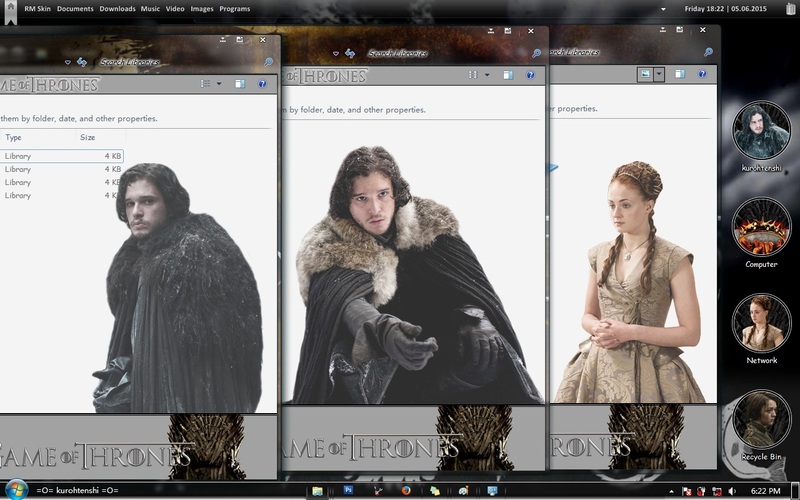 For the windows explorer background i add 4 image on the theme. 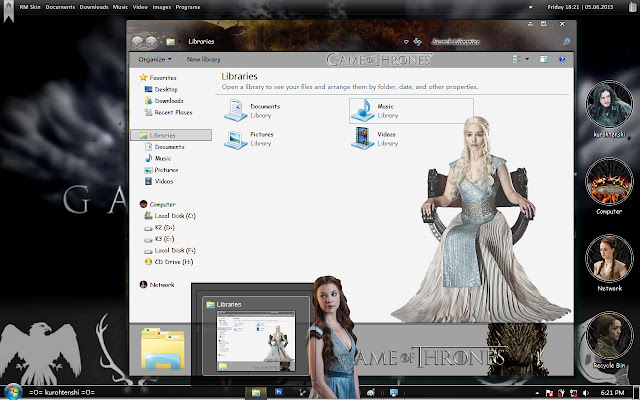 i hope you guys like the image that i have add in the explorer background. 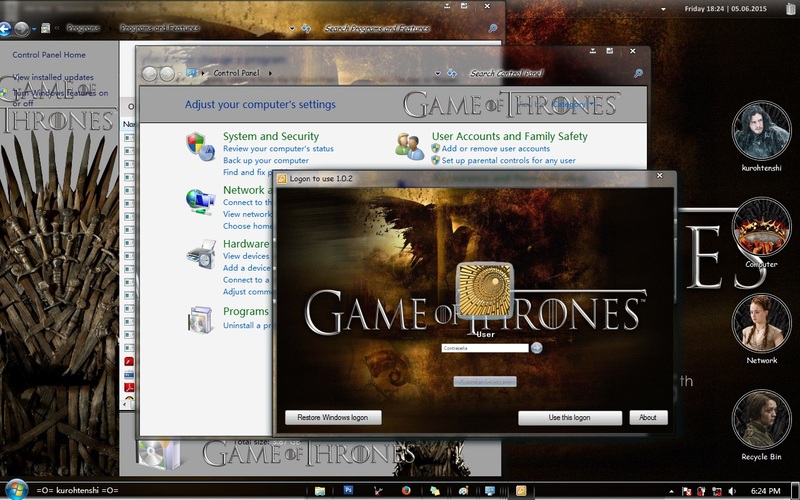 And i add a logon that come with this windows 7 theme. 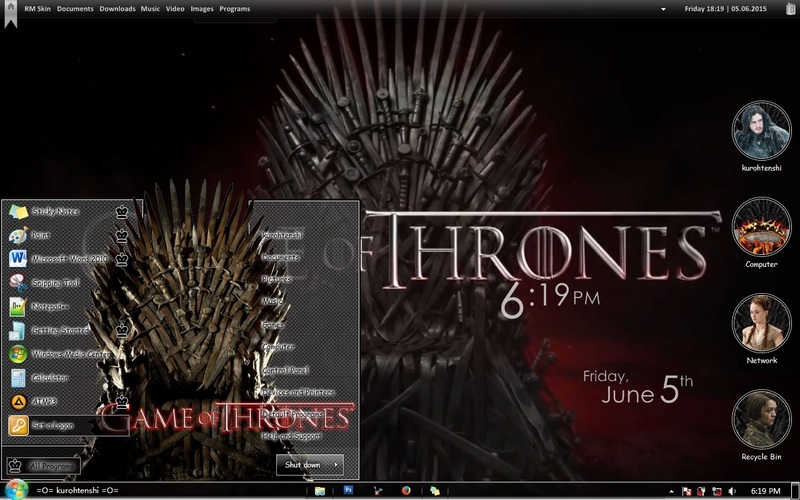 So... what do you think about this theme guys?? i hope you like it and feel free to write your comment. 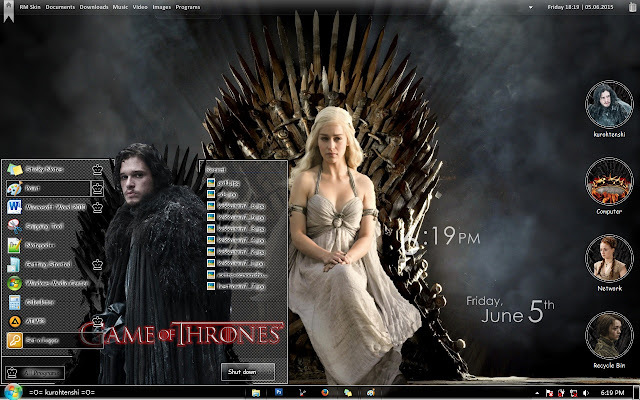 The theme will not applied perfectly if you havent patch some files on your computer. If this the first time for you, Please Read and Follow the Tutorial Below.